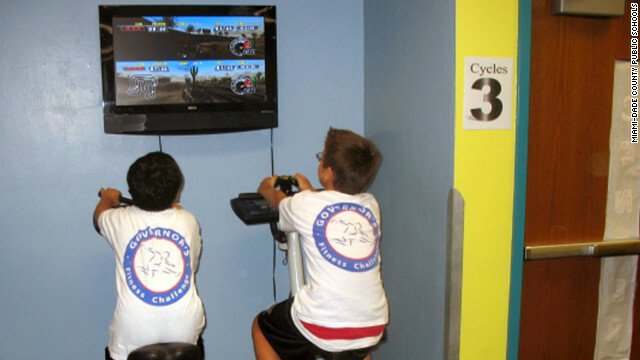 Students at an elementary school in Miami, Flordia, compete in an exer-game on stationary bikes. The national winners of ChildObesity180's Active Schools Acceleration Project competition were announced Wednesday afternoon in Washington. The competition was designed to put a spotlight on the creative ways schools were encouraging students to move throughout the day. The winning schools' programs had to be accessible for all fitness levels and easy to duplicate in other districts. The Corona-Norco Unified School District's 100 Mile Club in Norco, California, and Red Hawk Elementary's Red Hawk Movement in Erie, Colorado, will each receive $100,000. 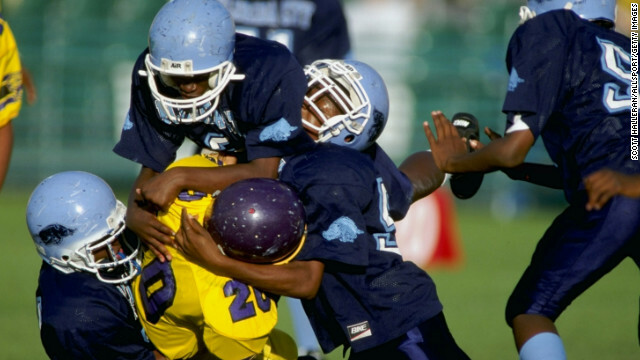 Pop Warner, the first national youth sport organization to implement concussion rules, is changing its rules regarding football practices. The first rule change limits the amount of contact drills, such as one-on-one blocking, tackling and scrimmaging to 40 minutes per practice, or no more than a third of the total weekly practice time. Pop Warner already caps practice at 2 hours a day, 3 days a week during the regular season. “The purpose of this change in the rules is to limit the exposure in practice, which makes up the majority of head impact," said Dr. Julian Bailes, chairman of the Pop Warner Medical Advisory Board.